Jodi Clifford, director of Notre Dame Law School’s Intellectual Property and Entrepreneurship Clinic. // Photos by Alicia Sachau, Notre Dame Law School. 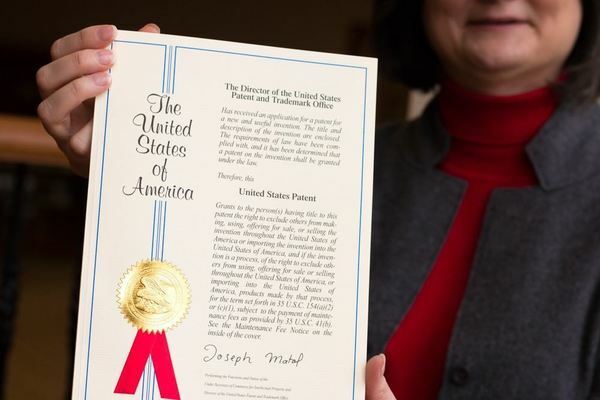 The patent awarded on January 2, 2018, credits the invention to Hsueh-Chia Chang, the Bayer Professor of Engineering and Director of the Center for Microfluidics and Medical Diagnostics, and researchers Shoupeng Liu, Satyajyoti Senapati, Yunshan Wang, and Yu Yan. Detection of biomarkers indicative of certain cancers and cardiovascular diseases is expensive and time consuming, but the university’s biosensor device promises to be fast and cost-effective to enable doctors to identify and attack diseases at the earliest possible stages. Because the device is also portable, physicians could take it with them into the field and patients could pre-screen and monitor for disease recurrences in their own homes. 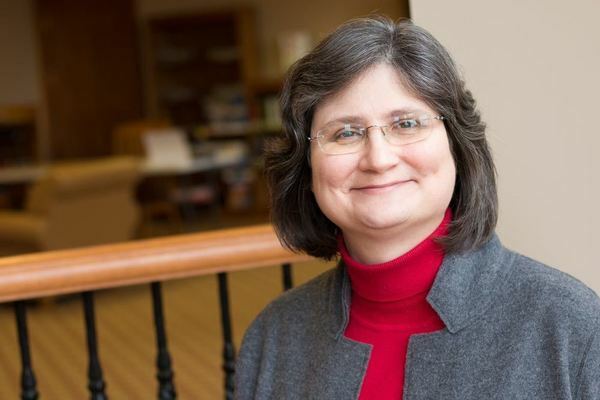 According to IP Clinic Director Jodi Clifford, the clinic first became involved with this patent application when the Notre Dame Office of Technology Transfer offered the case to her in response to her request for good, sophisticated patent matters for her students to work on. In developing the patent, IP Clinic students worked closely with both Dr. Chang and the entrepreneurial staff of the Technology Transfer office, which is now known as the Commercialization Engine Team and part of the IDEA Center, the University’s collaborative innovation hub dedicated to turning the concepts developed by University researchers into reality. The IDEA Center is now evaluating the medical device’s commercial potential, and will continue sending patent cases to the IP Clinic. Originally published by Charles Williams at law.nd.edu on January 15, 2018.